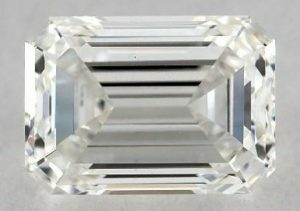 Hi, I am interested in an emerald cut diamond somewhere around 1.1 carat and was wondering if you might give me some options to look at. Thanks! Hi, I would suggest two things. 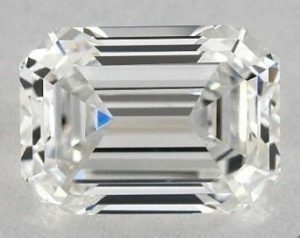 Visiting the JamesAllen.com website to shop for emerald shaped diamonds and to check out this page of my website that reviews what criteria to look for in an emerald shaped diamond. Once you have narrowed down your selection, get back in touch and I will review your choices to help you pick the best option. I look forward to working with you! Perfect, thanks! Can you please give me your opinion on these two diamonds? Thanks! 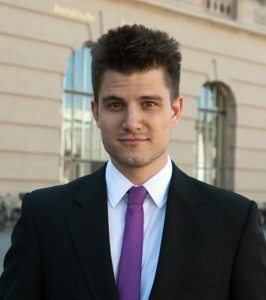 Hi, the two diamonds you selected from Jamesallen.com are both a great selection. One of the important things to look for when selecting an emerald shaped diamond is the balance of the alternating dark and light pattern created by the facets. 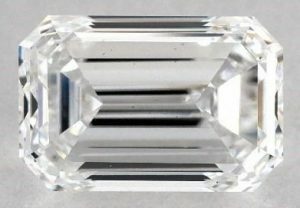 Both of these diamonds are aesthetically pleasing in their light and dark step pattern. The table and depth percentages, as well as the girdle thickness, are a bit outside the preferred range, however, in order to maximize the diamond's ability to sparkle. Please refer to my post on emerald shaped diamond preferred proportions. Let me know your additional questions! You are very welcome! I'd love to hear back after you receive it!